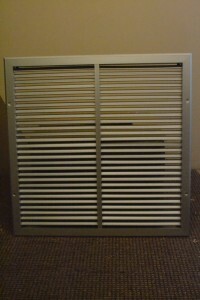 Supply and extract all purpose grille. Blades are fixed at standard 45 degree but also available at 0 degree to give maximum air flow or 15 degree. Standard frame – 32mm bevelled but also 25mm flat flange if required. Standard colour is satin anodized but also available in white, RAL or BS colours.